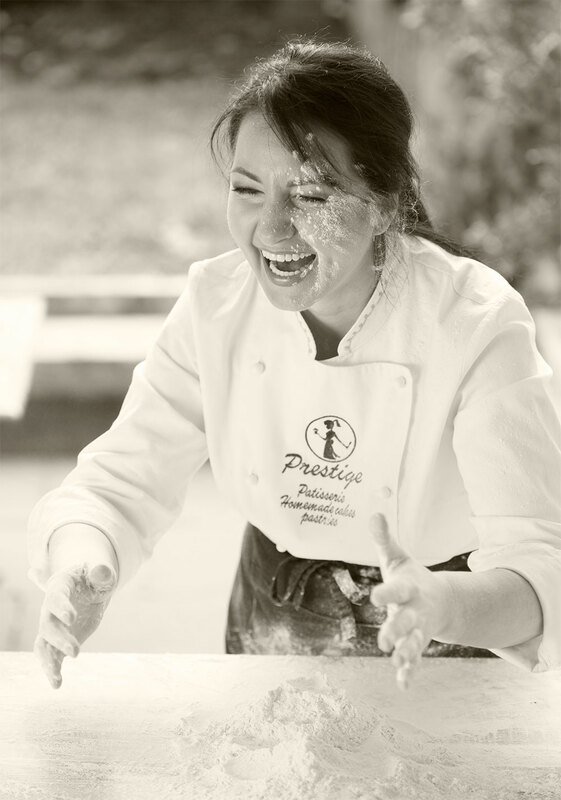 Prestige is an independent award-winning artisan patisserie, based in the heart of Tottenham, London. We bake our products from scratch, using only the freshest and finest ingredients. Everything we bake, make or sell embodies our passion for artisan methods, local products and delicious food. This love and attention to detail can be tasted in every bite. 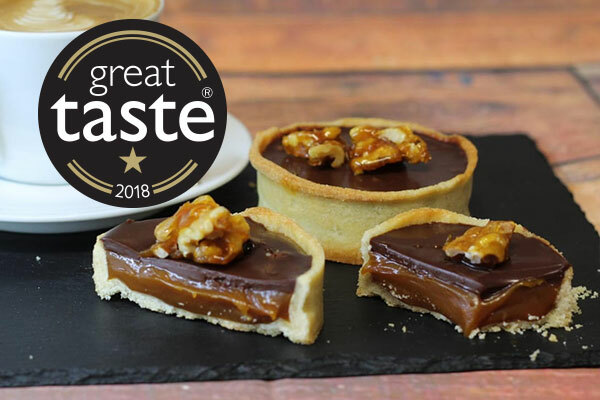 Our Great Taste Award winning tart is encased in a sweet pastry with soft, glossy caramel. Sprinkled with sea salt, our Belgian chocolate ganache is blended with honey, finished with our caramalised walnut brittle for an extra crunch! 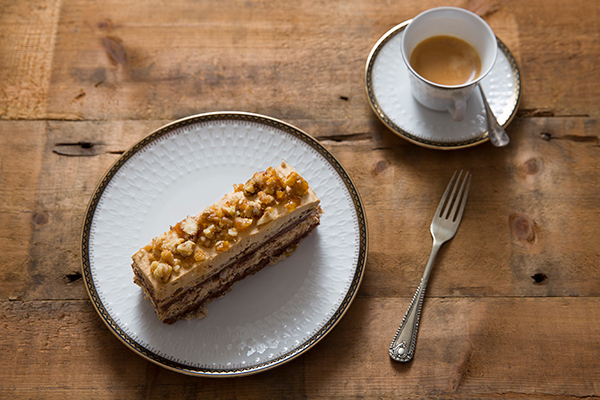 Our gluten free cake, this sponge is made with toasted walnuts and ground almonds, combined with a soft meringue between the layers. The nutty flavours are filled with a delectable chocolate and coffee mousse, and topped with caramelised walnut brittle. 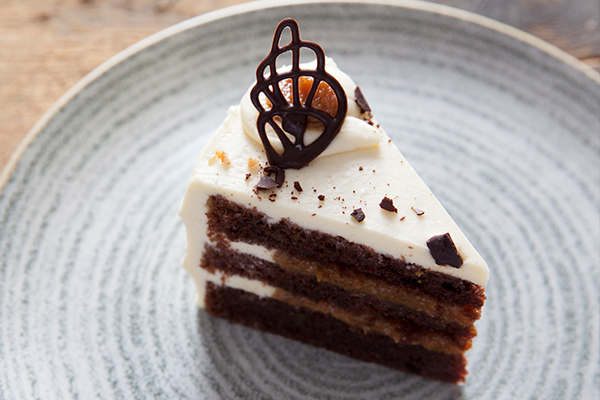 This delicately soft cake is pure indulgence. 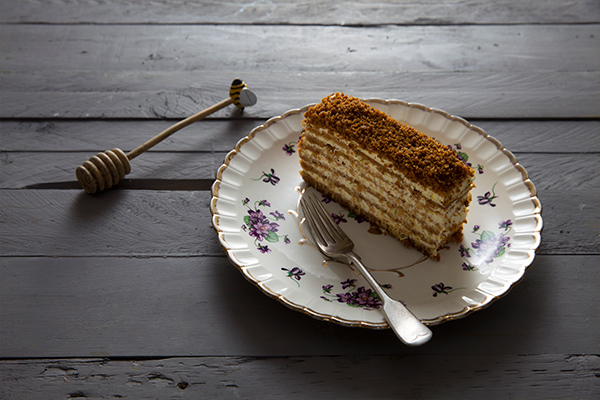 Filled with delicious honey, cinnamon and nutmeg, it is impressively hand assembled into seven layers. The cream is infused with lime and lemon, perfectly balancing the sweetness, down to an art. A special cake from our childhood in Romania, this is pure heaven for chocolate lovers. 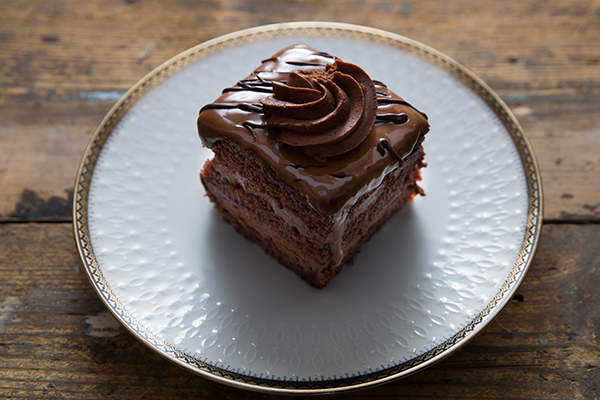 The rich chocolate sponge is soaked with rum syrup, creating a flavour that keeps you going back for more. Filled with layers of belgian chocolate mousse, the Amandina is finished with chocolate fondant which melts in the mouth. 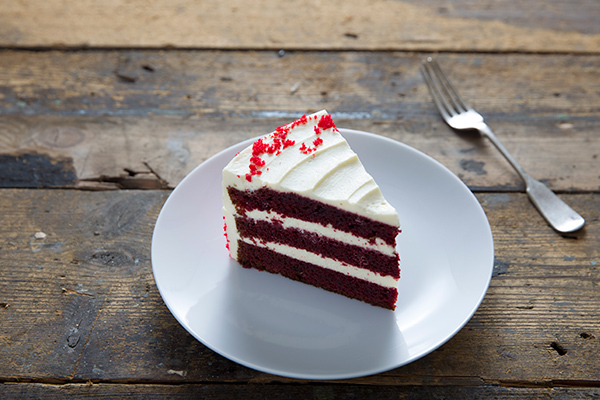 This red velvet sponge is delicately light, yet moist and rich in flavour. With layers of cream cheese whipped together with mascarpone, this cake has a deep red colour with a light taste of cocoa. Topped with our homemade red crumble, it’s a firm favourite with our customers. 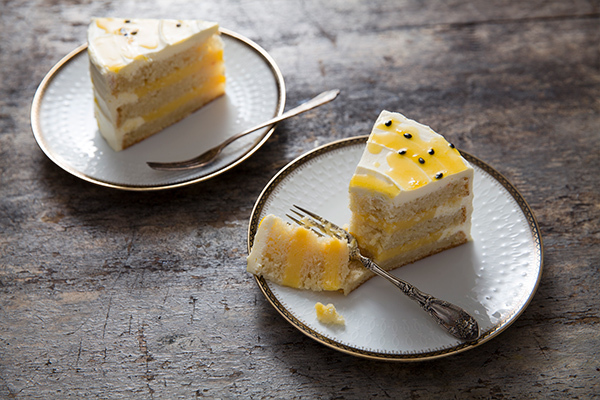 Filled with soft, passion fruit curd – the sponge is lightly soaked with syrup using fresh passion fruit juice, so that each bite is bursting with flavour. Mascarpone is combined with soft cream cheese to give it a slight sharpness, and bring balance to this luxuriously tempting cake. The caramel used in this cake is a unique recipe, slowly cooking down ripe bananas, until it becomes a soft puree. The sweetness is balanced with creme fraiche and cream cheese, bought together with a light chocolate sponge, gently soaked with a hint of lemon and vanilla. We’re now on UberEats! Place an order here and we will deliver delicious cakes to your door! “My passion for baking has been close to my heart for as long as I remember, and I have fond memories of making fudge and walnut cookies with my mother. Many recipes have been handed down through my family for generations, forming a huge part of my childhood and sparking the start of the Prestige Patisserie journey. Having previously worked at a renowned patisserie in Romania, I have spent the last decade working in London amongst top chefs and bakeries, perfecting my skills. Experimenting with flavours, I have recreated classic recipes, but added my own unique twist. If you’re looking for food for your next event, we create delicious savoury and sweet pastries from scratch, from traditional croissants to pasties with chicken, sweet potato, cheese, mushroom and more. Our quiches are prepared fresh, with buttery shortcrust pastry in a range of flavours, accompanied with our seasonal salads. 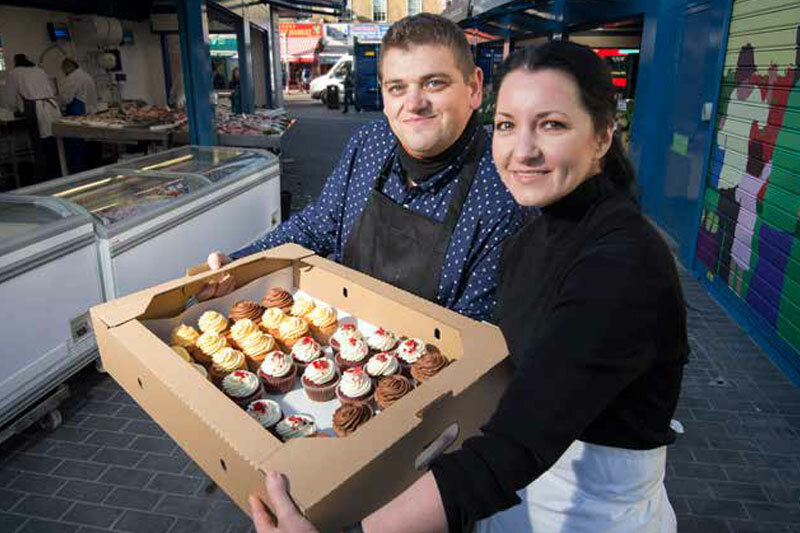 Give us a call, or visit us at Holcombe Market to discuss any requirements and flavours. At Prestige, we specialise in creating stunning bespoke cakes for weddings, parties and special celebrations. Each of our cakes is unique, custom designed and made with love. Tell us your ideas and we’ll bring them to life! Taste is just as important to us as style, which is why only the finest and freshest ingredients are used. Not only will your cake be a feast for the eyes, but it will be for the palate too! Whether you’re looking for cupcakes, cake pops, cookies, brownies or an entire dessert table, do get in touch and we can tailor our services to your needs. We’re at Holcombe Market, in North London Monday to Saturday, from 7am to 5pm. Come and say hi! You can also find us at Tottenham Green Market, every Sunday. Website Design by Tremulant Design. Photography by Andre Ainsworth.